Browse through the disciplines to see the continuum of each academic course from sixth grade through eighth grade in the Middle School. This section of math encompasses all of the topics covered in the regular Sixth Grade Mathematics course but at a greater depth and faster pace. Emphasis is placed on problem solving skills, real world applications, technology, spatial reasoning, and finance math. This course covers all of the topics in the regular Seventh Grade Mathematics course but at a greater depth and with student independence. In addition, there is an emphasis on patterns, logic, lateral thinking, math applications to real world problems, opened ended problems, and spatial problem solving. Integrated Math 1 advances students’ understanding of mathematics through interwoven strands of algebra and functions, statistics and probability, geometry and trigonometry, and discrete mathematics. These strands are unified by fundamental themes, common topics, mathematical practices, and by mathematical habits of mind. 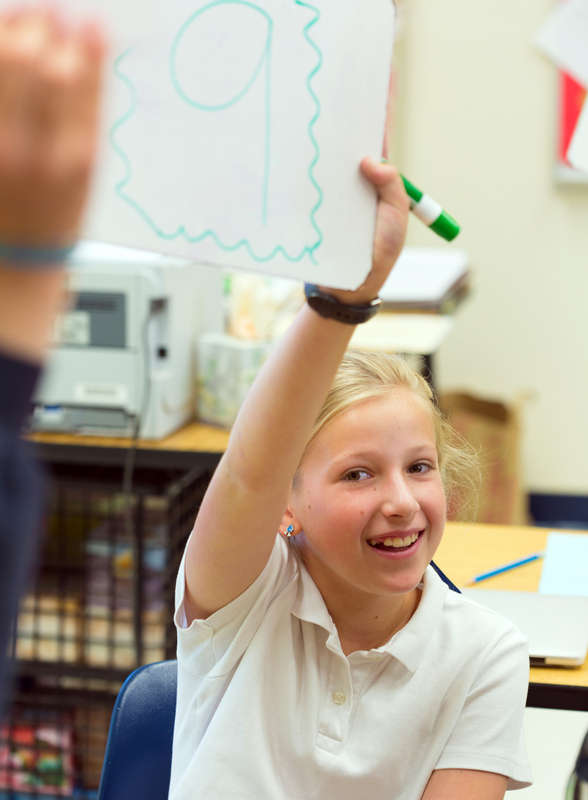 Developing mathematics along multiple strands help students develop a connected understanding of mathematics and nurtures their differing strengths and talents. This course covers the same general units of study offered in the regular Integrated Math 1 course but at a greater depth and at a faster pace. Particular emphasis is given to problem seeing, information gathering, and solving. In the middle school, performing arts classes three times a week help students develop their ability to participate in music, dance, and theater. All students participate in two yearly concerts showcasing choral singing, dancing; there are also performances by hand chime groups, a dance team, the Carolina Day Choristers, and the 7th and 8th grade advanced chorus. When available, guitar, strings, brass and woodwind chamber music groups also prepare pieces for the concerts. Middle School Theatre Production is an extracurricular program open to sixth, seventh, and eighth graders. The annual winter musical provides an exciting opportunity for an introduction to the world of theatre. Whether students participate on stage or as part of the tech crew, they learn teamwork, communication skills, leadership, flexibility, and how to prepare for and meet deadlines.